Robert Matthews: Hire an Expert! For more than eighteen years, Robert Matthews has been a trusted advisor in the Greater Vancouver real estate market, helping hundreds of families with the home buying and selling process. Robert has sold more than 600 homes, townhouses and condos. He's been in the top 10% of all Greater Vancouver Realtors® in sales volume for 7 years, and in the top 1% for 4 years. This track record results from superior sales skills, sharp negotiating abilities, and applying years of earned experience to ensure full satisfaction for each and every client. In fact, many of Robert’s clients are repeat customers or referrals. Robert is pleased to be a valued real estate advisor throughout his clients' life stages, whether as young singles or families; families with growing children; or those looking to downsize. Robert's real estate experience goes well beyond marketing and selling residential real estate. He's owned residential and commercial properties; renovated and re-built properties; stratified apartment buildings; made land improvements; worked with contractors and builders; been a strata chairperson and managed his own multi-unit rental properties. Put Robert's experience to work for you; consider him your go-to expert in all things real estate! Stay up to date. Sign up for my newsletter! Sign Up! "Robert always answered our questions and concerns promptly and thoroughly. He was a calm, steady and patient advisor throughout the emotional experience of listing, selling and moving from our longtime West Vancouver family home." 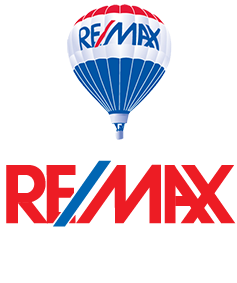 "I'd say Robert Matthews is the BEST Realtor and I've bought and sold a number of homes over the years. Don't think he is only a Vancouver Realtor either as he sold our townhome in Burnaby very quickly, for MORE than our asking price." Andrea H. and Diane F.
"From our first meeting I found Robert to be professional, knowledgeable, trustworthy and calm. Robert exceeded my expectations during all the stages of the selling process and I was very pleased with the price I received."